It is a daunting task, and unfortunately, many parents seem to fumble over even the basics, leading to long drawn-out probate disputes and court battles over the will. If you are considering drawing up a will, keep these tips in mind and contact an estate planning law firm. Your children are much less likely to fight over money if you treat everyone equally in the distribution of assets. 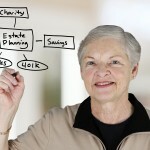 Experts do recommend that you level the playing field when it comes to an inheritance. This does not mean that you are absolutely required to leave money to each child equally. However, it is highly recommended that you do so. This can minimize the risk of fights over your assets after you. 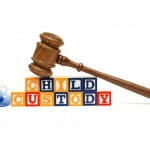 In those cases, where you choose to leave a higher portion of the estate to one child, explain why you are doing this. For instance, there may be cases where one child really needs the financial boost, while the other child may be doing much better for himself. However, even in those cases, you must be aware that after your passing, the wealthy child who is doing well for himself and doesn’t really need the money, is likely to resent your decision. As much as possible, do the actual distributing on your own. Do not leave the eldest sibling or another person in charge of dividing your estate among the rest of the siblings. If you are using a trust, make sure the trust distributes money at certain periods or at certain ages of the children’s lives. Such staggered distribution of money can ensure that the money goes into your child’s hands only when he is getting older, and gains the financial maturity to use it wisely. Heirs are much less likely to squander funds, when the money is distributed in such a staggered fashion. Select trustees smartly. Ensure that beneficiaries have the ability to remove trustees if the trustees are being overly restrictive about release of money from the trust. Worried about whether the inheritance will simply spoil your children for life? There are ways that you can work around this. Incentivize your trust to make sure that your trust will only distribute money when certain goals are met. Those goals can include everything from signing up for a volunteer organization, to getting a college degree.